Okay, so now that it is spring time, I think I’ve started to become a little more dedicated to my health and fitness stuff again. After all, summer bodies are built in spring. I’m still very much a fan of the Nike apps and consistently use them and have been doing so for about a year now. And yes, this has definitely made a difference in my overall fitness and I think it has kept me so much more dedicated than I ever was before. But now I wanted an app to look at the kind of things I’ve been eating so that I can see where I’m going wrong and what kind of things are going right. I know there’s the obvious stuff like eat more fruit and veg and whatever but I love my food and just eating that isn’t going to cut it 24/7. You guys know how I feel right? 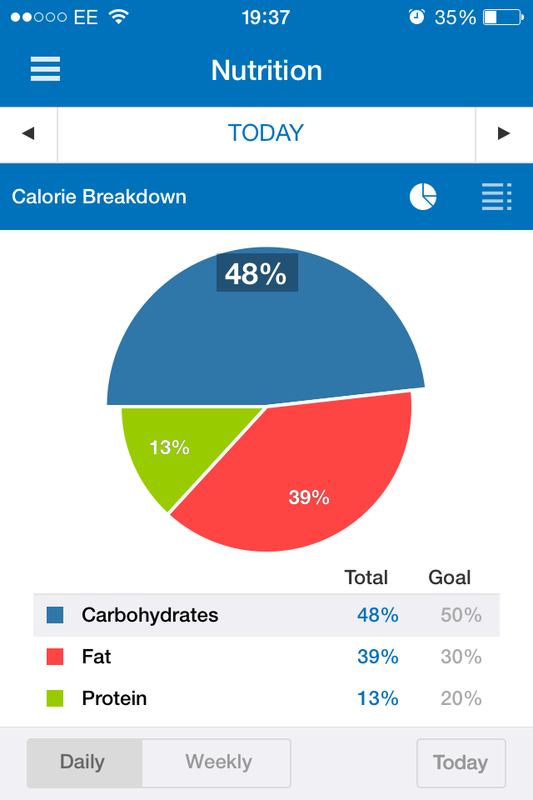 So I found an app for my iPad and my iPhone called ‘My Fitness Pal‘. Basically, it allows you to put in your age, gender, height, weight and all that stuff and allows you to set how much weight you want to lose and it gives you a calorie allowance for everyday. 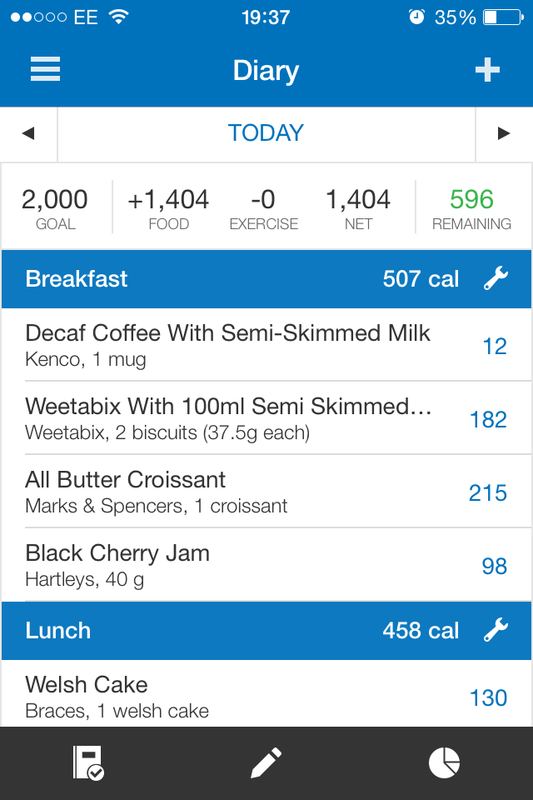 From there, you can put in what food you’re eating (people you can even scan the barcodes for your food and it’ll come up, SO IMPRESSED) and you can put in what exercise you’ve done for the day. The more you exercise, the more you’re allowed to eat. What a guilt free way to eat more!! 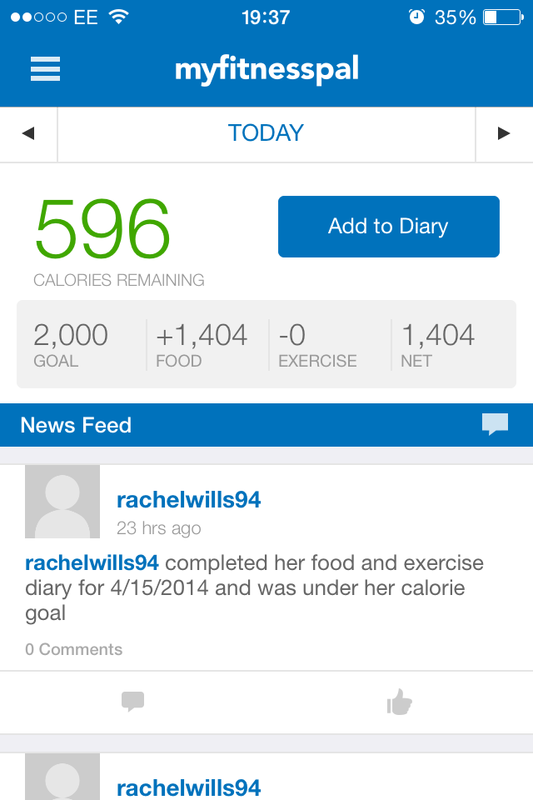 I’m a little bit obssessed with this app at the moment but I think it’s great help especially on a diet. I’m one of those people that needs to see what’s going on before I realise. No more snacking for me and hopefully I’ll be well on my way to the summer body I actually want! Give it and try and let me know how you guys get on! aww these apps are so helpful! I’ll have to have a look at that one! I’m sure you’re not at all:) thank you for reading my blog! ← Is Protein For Girls Too?